Happy Monday all!! We’re so excited over here in our home because we are going to have a new baby boy in March! We’re beyond happy and Mason and Monroe can’t wait to have a new little brother. 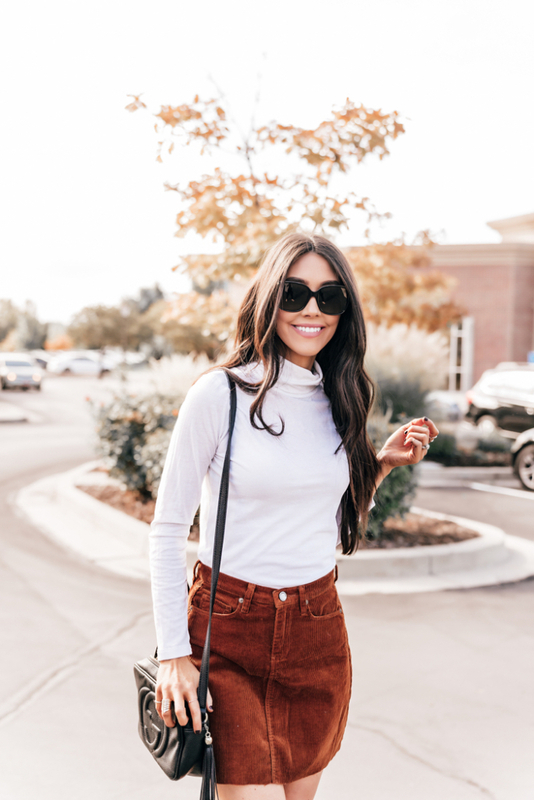 I’ve been working hard to get some really adorable fall outfits together for posts! I know it’s about that time where all the fall parties are stating and finding the perfect outfit is what we’re all trying to do! 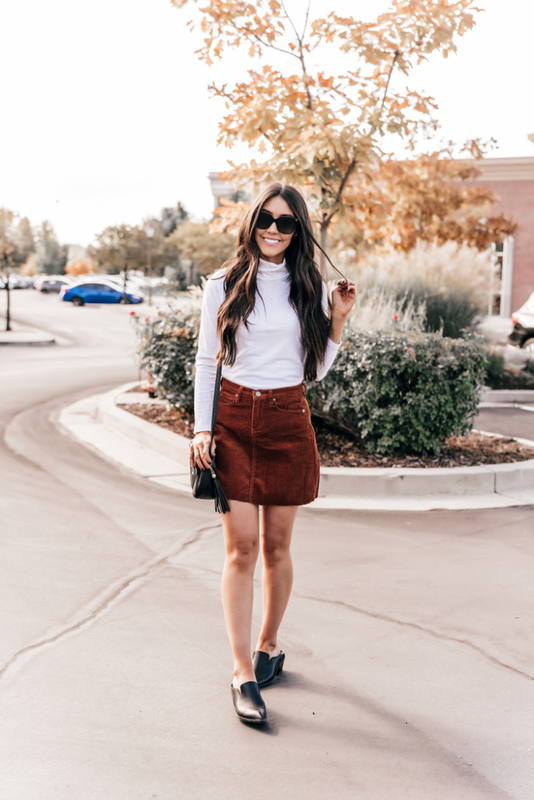 I found this adorable corduroy skirt a while back and was dying because I loved the color so much. Rust should be the honorary color of fall. It looks so cute and feels so in season. 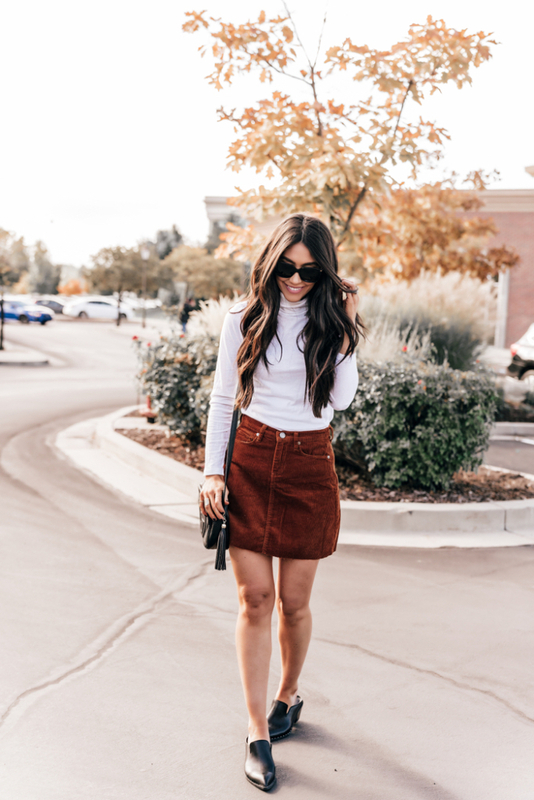 I paired the skirt with a top that I can’t get enough of. 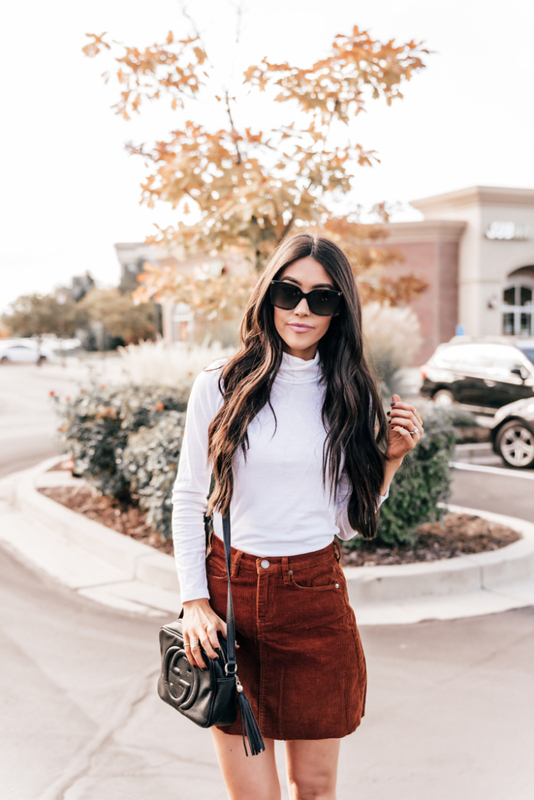 Turtlenecks have been one of my go to’s for years now during the fall season. 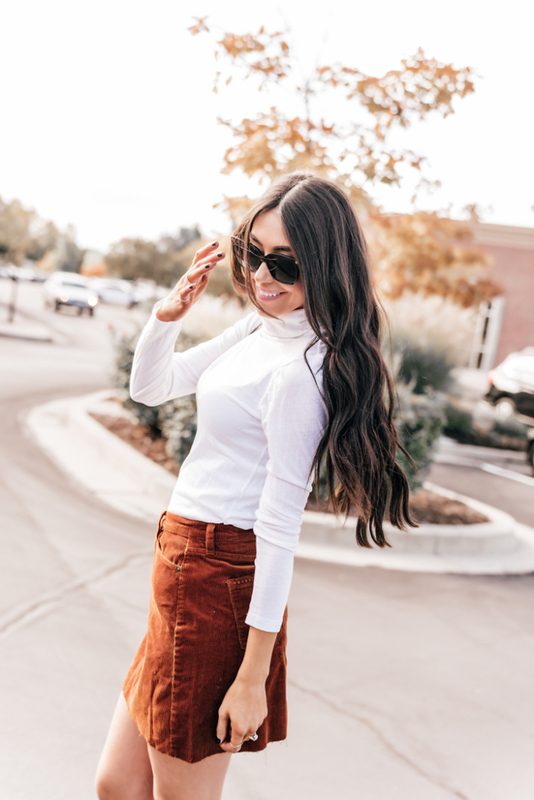 You know I love to layer and this top is a perfect place to start with layering. 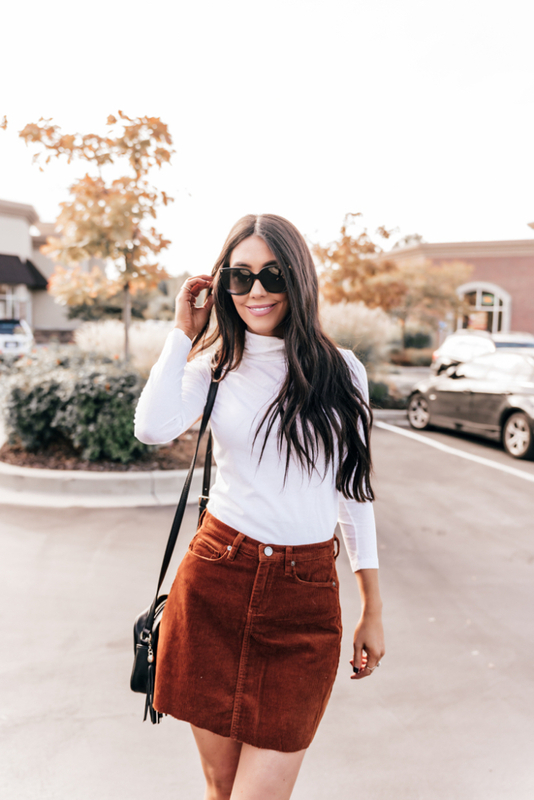 I feel like this outfit would be perfect for date night, girls night or lunch with your friends! 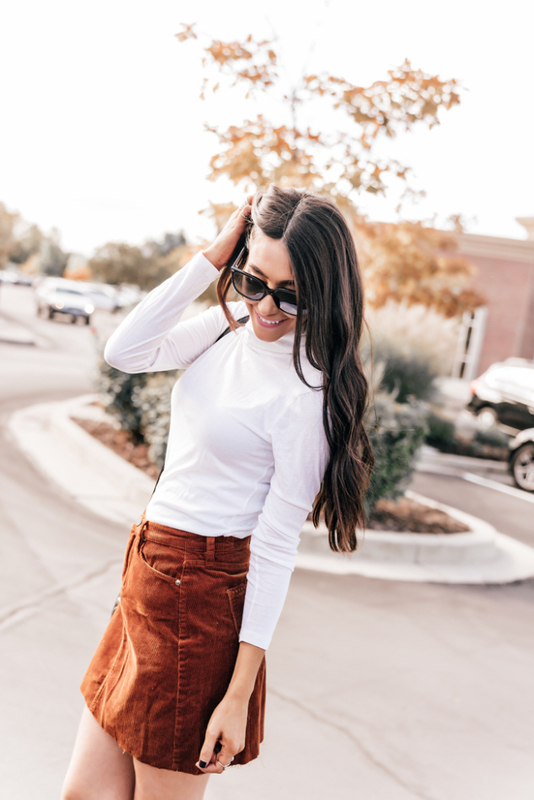 Definitely consider this top as your next fall essential. It’s really that good. This fall has been so much fun and I’m not sure if I’m ready for it to end. I know in a few weeks it’s going to start snowing, it seems too early! Some of our favorite things to do this fall have been tog et outside and play with friends at some of our local pumpkin patches. The weather is beautiful and it’s great for the babies to be able to play outside and then get home and be ready for bed! 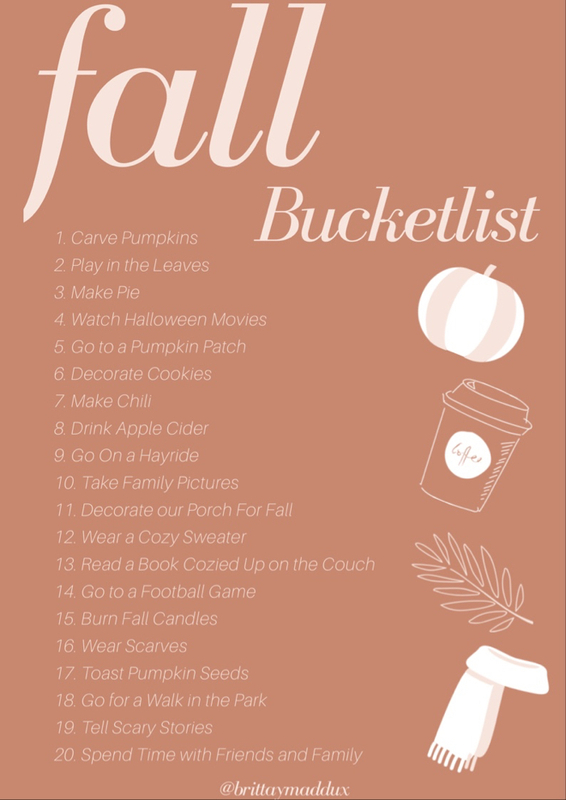 I’ve attached my fall bucket list. Halloween is just a few short days away so soak up all the pumpkin carving, corn maze fun you can! Next is Thanksgiving and oh my, I can hardly wait!